Today I am going to unbox a newly launched beauty subscription box : Euphorbia Box . Now the Indian market is flooded with variety of subscription services , most common of which is Beauty Subscription Boxes . They are good as one gets products worth more than the price of box . Almost every month we see some new subscription services , specially on Instagram , some are really good and some are Okay . 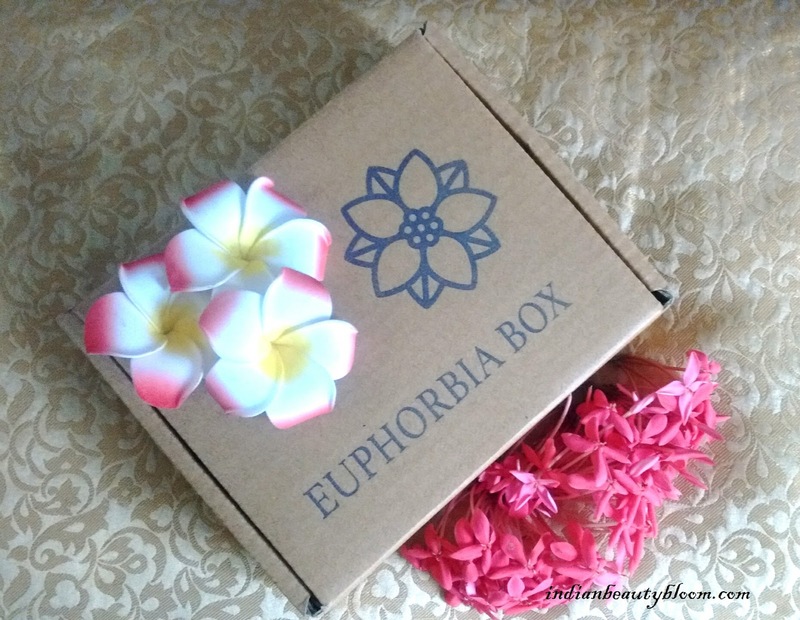 This month there is a New Beauty Subscription Box in market that’s the Euphorbia Box . 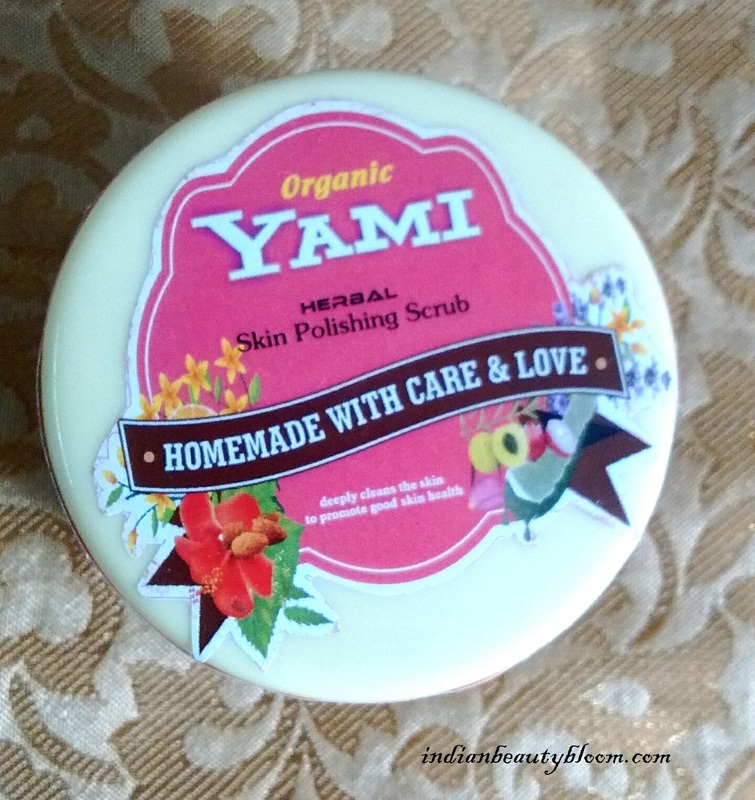 It’s Launched by a Lovely Beauty Blogger Anjali Sengar . The box is a card board one with all the products nicely packed in it . On the inner flip one can see list of products along with its price . This month’s box has 5 products , 1 earrings and 3 beauty products and 1 Lipstick . 1. Mond Sub Collagen Silk Mask Sheet worth Rs 200 . 2. Yami Herbals Skin Polishing Scrub worth Rs 80 . 3. 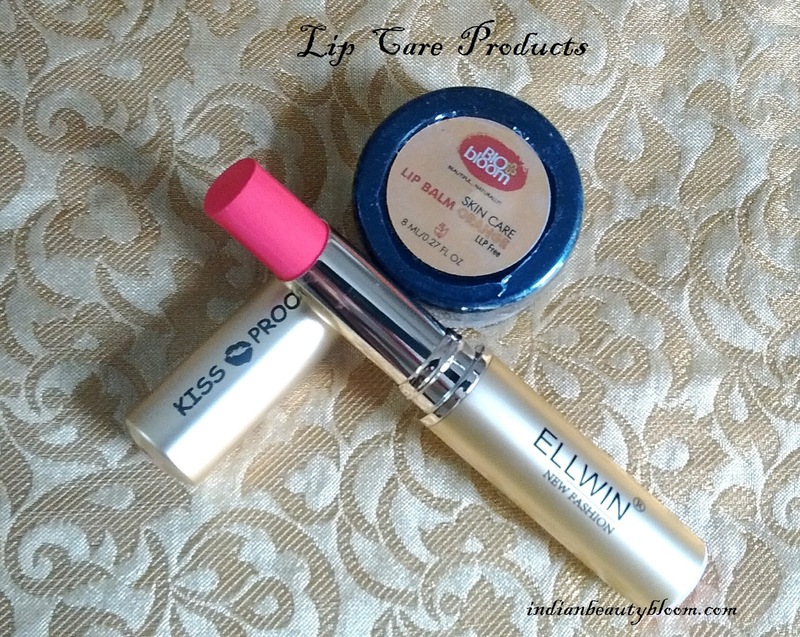 Ellwin Matte Lipstick worth Rs 350 . 4. 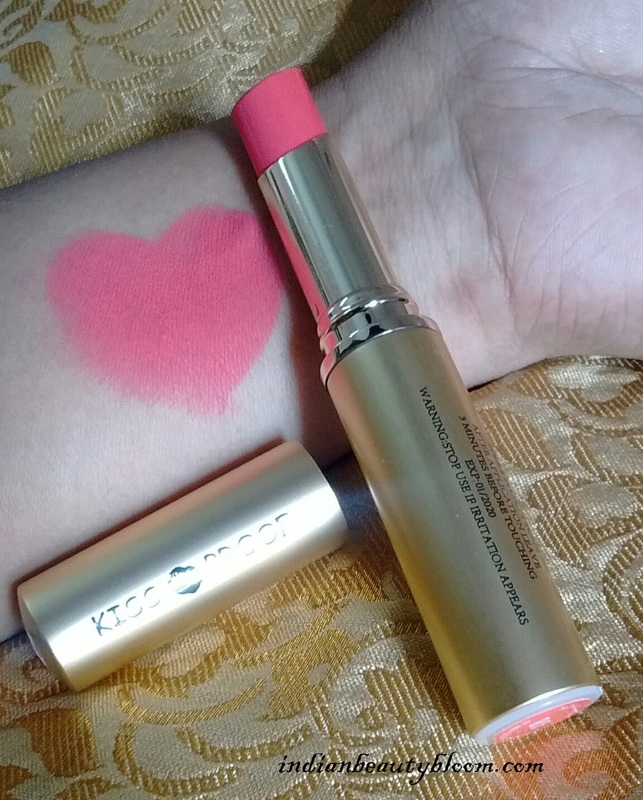 Bio Bloom Lip Balm Orange worth Rs 115 . 5. 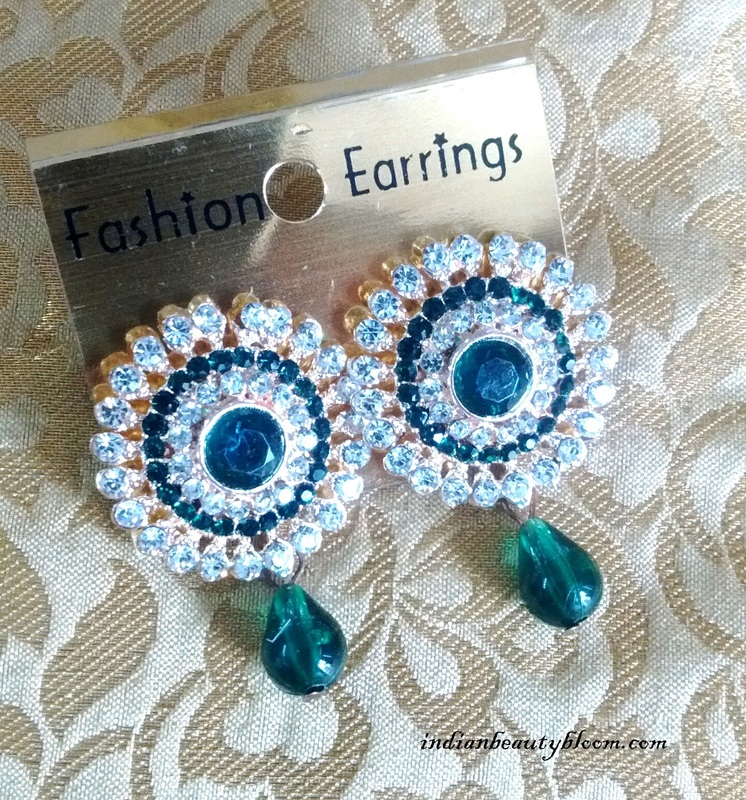 A pair of earrings worth Rs 120 . 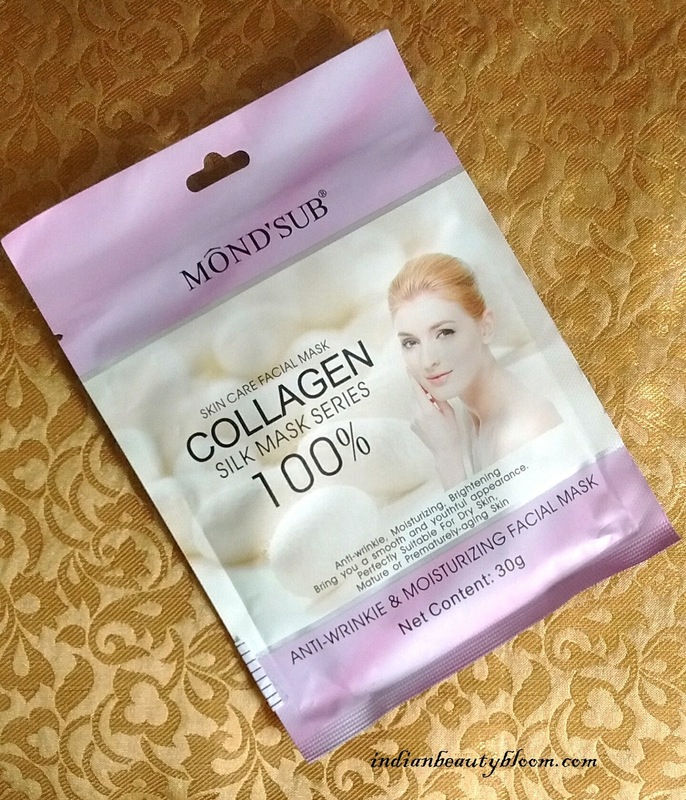 Sheet mask are too good and an easy way to pamper your skin . This is a herbal product . Can come up with a detailed review after using it for some time . The product seems good and is affordable . This month’s box has 2 lip products , 1 Lipstick and 1 Lip Balm . Lip Balms is from Bio Bloom , I have used lip balms from Bio Bloom , they are good and are in affordable range . The Lipstick is from brand Ellwin , it’s a matte lipstick in pink shade . I got a pair of green stone stud earrings . 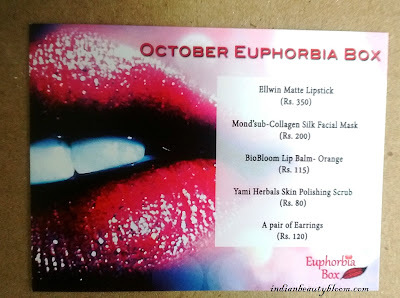 So these were the products I got in October month’s Euphorbia Box . Total Cost of products is Rs 865 . And the price of box is only Rs 198 with Rs 12 shipping , so it costs Rs 210 . How Cool is that . all from reputed brands . 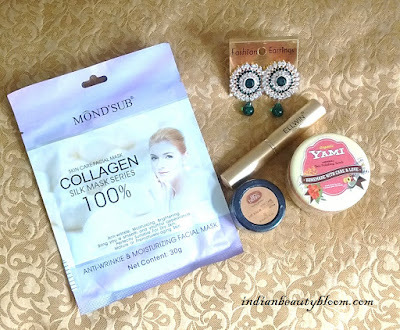 This is One of The Best Beauty Subscription Box I have come across . Would recommend all to have a look on their website and facebook page and do order one for yourself to get some useful products in affordable price .